Benefit from a professional report and inspection, ring Stuart Morrison Mob 021 422 986 or 09 422 9866. You need to be sure that the house you want to buy meets your expectations and, in the case of finance, your Bank's as well. We are of the opinion that a no nonsense approach is called for. So have confidence in your purchase, and be sure before you buy. 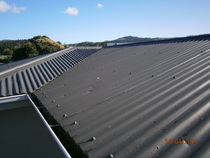 We will inspect the property using the New Zealand Standard guide lines and make sure you have all the information you need for this major decision. In providing a full and comprehensive assessment, Stuart follows the guidelines set out in the latest NZS 4306:2005 New Zealand Standards for residential property inspections. Below we have listed the more common points included in the inspection; there are over 95 different points covered in the standard inspection. 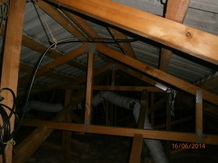 Structural type, condition and connections. Signs of any structural concerns.